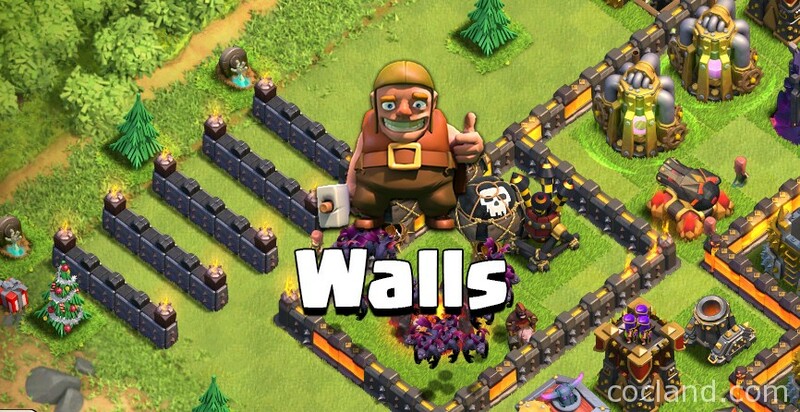 In Clash of Clans, Walls are the most popular object. Walls are the most important defense building in Clash of Clans, prevent the enemies from going further into your village, keep your loot safe from their hands. Wall is the key for designing all base layouts in game. There are 11 levels of walls in Clash of Clans in total, as you see in the image below. All air troops (Dragons, Balloons, Minions, Healers and Lava Hounds) can bypass the walls without breaking them. Ground troops can jump over the walls with the help of Jump Spell. Hog Riders bypass the walls innately without using anything. Walls are the favorite target of Wall Breakers (their name says all about that). The attackers use them to easily break the walls then other ground units can go inside through there. 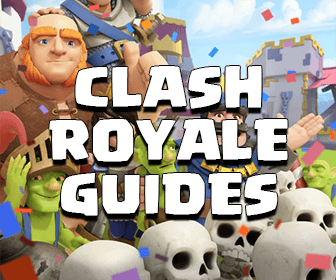 Using either 2 or 3 layers of walls in Clash of Clans are mostly useless because Wall Breakers have a small radius as they can break 2 layers of walls at a time. Archers, Wizards and all other ranged units can hit buildings over the walls because they have a certain attack range. From walls level 8, you can upgrade them by using both Elixir and Gold. With lower levels, you just can use Gold to do that. By manipulating the table above, you will know when you should upgrade your Wall Breakers and decide the best time to upgrade your Town Hall. For example, with 2 level 5 Wall Breakers, you can break any wall from level 1 to level 8. If at your farming range there are just a bit players have level 9 walls, so you can upgrade them later. 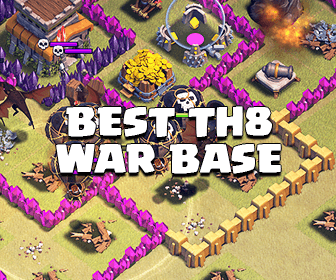 If you have any ideas, if you want to share your opinions, your experiences about using and upgrading Clash of Clans walls please comment, we will listen to you!